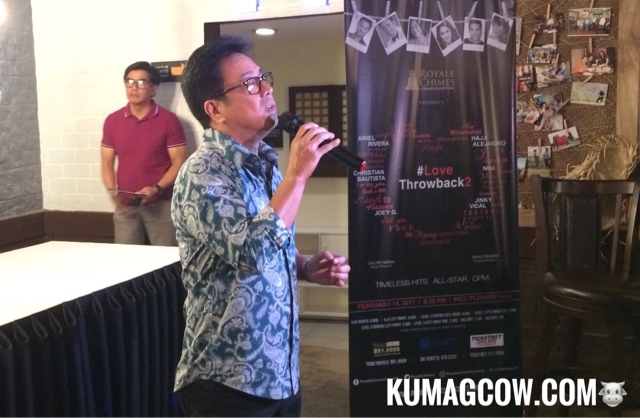 It looks like the stars are aligned for love struck people this Valentines day as some of the greatest OPM artists like Ariel Rivera, Joey Generoso, Jinky Vidal, Nina, Christian Bautista and Hadji Alejandro swoon your hearts away as they sing timeless and classic OPM songs at #LoveThrowback2. This concert will happen at the PICC Plenary Hall this February 14 at 8:30PM. Make sure you get your tissues ready as they delve more into Filipino ballads that'll send you to feelings of love, heartaches, loss and even acceptance in this February. Now I know you miss Ariel Rivera a LOT but we're sure he'll whip up his hit singles "Sana Kahit Minsan", "Minsan Lang Kita Iibigin", and my personal favorite "Ayoko Na Sana" which you shouldn't ask why ha-ha! Former frontman of Side A Joey Generoso will probably sing your favorites "Tell Me" and if you're good that evening he might add in "Forevermore" too because nothing beats the original. Jinky Vidal, power and all will bring you to her hay days with Freestyle as sing hits such as "So Slow" and covers of "If I Believe" (I think a Patti Austin original) and "One Hello" which she did awesome in the past. Soul Siren Nina will get you her I woke up like this type of singing for her successful renditions of "Through The Fire", the heartbreaking "I Love You Goodbye" and if you're in the mood she'll also sing "Love Moves In Mysterious Ways". 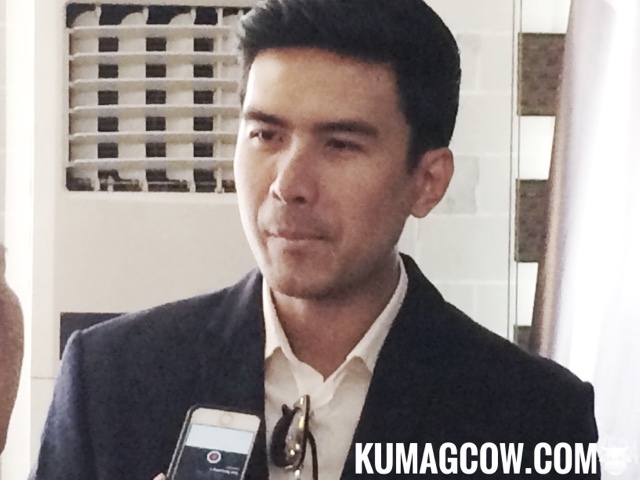 Asia's Hunky Balladeer Christian Bautista on the other hand will get you feel the reason for Valentines day with his hits such as "Colour Everywhere", "The Way You Look at Me" and "Hands to Heaven". Hadji Alejandro will also get you to see the reason why he's called "Kilabot ng mga Kolehiyala" as he sings "May Minamahal", "Nakapagtataka" and for those who are in rebound relationships "Panakip Butas". You may purchase tickets through Ticketworld by calling 8919999 or TicketNet via 9115555 or SM Tickets at 4702222. This is produced by Royale Chimes Concerts so make sure to follow them @RoyaleChimesConcerts on IG and @RoyalChimes on Twitter for updates and behind the scenes footage of this concert. I'm watching this so see you on Valentines day!